India’s music sensation, Yo Yo Honey Singh celebrated friendship’s day giving a shout out to two of his close friends. 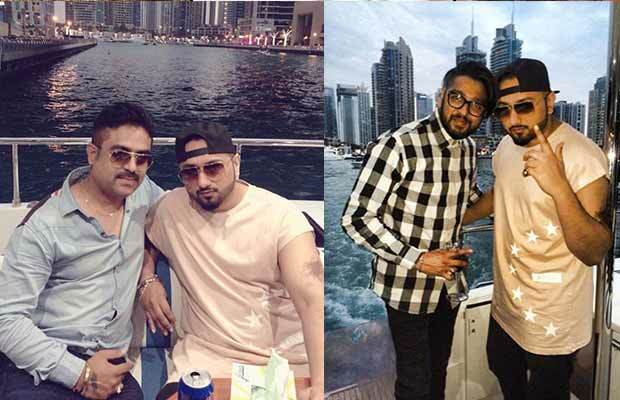 Yo Yo Honey Singh took to social media to share pictures with his friends, Rohit & Madhukant. The singer also divulged details, that his friends have been the most helpful and supportive through his life journey. The music maestro, who is a renowned name in India gladly credited his friends and dedicated the day to them. Honey Singh is known to timely encourage and recognize the efforts of his friends on social media. With more than 30 million followers on Facebook, Honey Singh makes sure to promote the work of his near and dear ones. He is also known to back budding talent and share their work amongst his massive social media fan base. Previous articleMalaika Arora Finally Breaks Silence On Split With Arbaaz Khan And Reason Why She Still Using Khan Surname! Next articleDirector Aanand L Rai Finally Breaks Silence On His Alleged Fight With Kangana Ranaut!